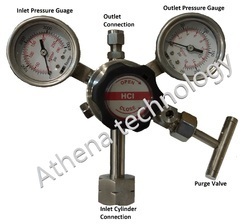 This Pressure Regulating Device conforms to government standards and industry regulations. 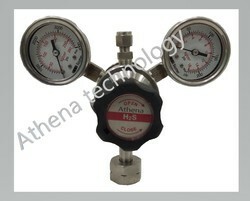 New models of this Oxygen High Pressure Regulator keep developing to produce higher quality products without cutting corner. 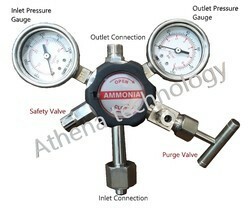 manufactures hydrogen chloride pure gas to be used in a variety of chemical manufacturing (rubber and vinyl) applications and laboratory applications, and is available with up to 99.9995% purity. Hydrogen chloride is also available as part ofATHENAspecialty gas mixtures used in environmental, industrial hygiene and safety, and semiconductor applications. 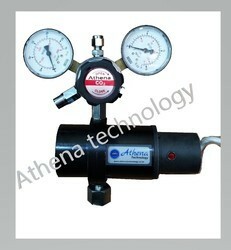 ATHENA cylinder treatment assures mixture stability and accuracy. 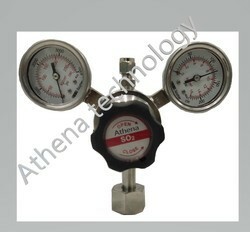 Looking for Two Stage Cylinder Regulator ?